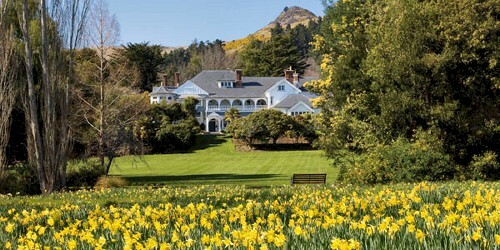 New Zealand’s Otahuna Lodge, near Christchurch, has been voted the Top International Hideaway for 2015 by readers of one of the world’s most influential luxury travel reader’s polls, Andrew Harper’s Hideaway Report. Otahuna Lodge was also named as #14 in the list of ‘Top Food and Wine Resorts’, while The Lodge at Kauri Cliffs, in Northland, was named #16 in the ‘Top Golf Resorts’. The results are based on the annual independent Reader Survey in which Andrew Harper’s discerning readers vote for the best hotels, resorts, safari lodges and cruise ships around the world. This year’s Readers’ Choice Awards boast 122 hotels in 51 destinations. Andrew Harper’s Hideaway Reportis a leading source of information about luxury travel, having provided candid and insightful reviews to its subscribers for more than 35 years. This entry was posted in Arts / LifeStyle / Travel and tagged Andrew Harper, Christchurch, New Zealand, Otahuna Lodge. Bookmark the permalink.